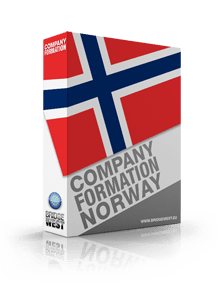 A local or foreign investor may close a business in Norway due to a set of reasons. This can happen when the company is no longer economically viable, but the business can be closed down if the businessmen want to start a new company in another industry. For example, the decision can be taken if the financial conditions of the local economy can’t sustain a steady growth for the respective company. Our team of consultants in company registration in Norway can advise local and foreign investors who are considering closing down their local company; businessmen can also receive advice on the procedure that has to be completed in this case. Prior to opening a Norwegian company, the investors should establish a realistic business plan that will cover most of the risks that can appear during the first years of activity, when the business is most vulnerable. It is also necessary to consider the available competitors, as they may have a negative impact on a business which provides similar goods. For example, if the competitors provide on the local market better services and products at lower prices, the company may not be able to achieve a cash flow above the company’s general operational costs. Human resources and company’s management are important components for achieving the company’s business goals. A manager who does not have the necessary skills for organizing the company’s activities could have a negative impact on the overall business. In order to close a company in Norway, the company’s representatives will need to announce the Register of Business Enterprises on this matter. In this sense, the investors will submit the minutes in which the winding up was decided. The procedure can be completed on the online platform of the institution, but only in certain cases and our team of specialists in company formation in Norway may advise on the procedure. Businessmen are invited to contact our team of representatives for consultancy services regarding this subject.